From Restaurants, Beaches, Cinema and Theatre, Marine Point New Brighton has it all. Grab a bite to eat or drink at one of our many restaurants, bars or coffee shops. Ideally located adjacent to New Brighton beach and Prom, just 5 minutes from the train station and with lots of free parking and easy access to the M53 and Liverpool City Centre, it couldn’t be easier to get to us. At Harry Ramsden’s we’re World Famous for our fish’n’chips – not just because we’ve been serving them for over 85 years, but because the great taste of every portion keeps our customers coming back for more, every time. Our exciting new offer not only features a brand new look; across two floors, but a delicious new menu too, including Breakfast, Afternoon Tea, a selection of delicious deserts, plus the opportunity to enjoy a glass of wine or beer with your meal. At Bella Italia New Brighton you can now try our great range of pastas, pizzas and Italian classics all served with warm Italian hospitality. Bella New Brighton is ideal for your family dinner, lunch with friends or for that romantic date night with someone special. We are proud of the carefully crafted dishes on our menu and we work very closely with family-run businesses in Italy and across the UK to create genuine Italian flavours with innovative and creative recipes. 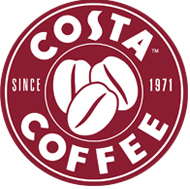 We’re passionate about our coffee, and about delivering a great experience to all of our customers. We have been voted the nation’s favourite shop for the third year in a row, we are always trying to improve our services, to deliver you the perfect cup of coffee whether you are grabbing it on the go or spending some time in one of our stores. Also, We’ve been voted number 10 in the list of top 25 best companies to work for, and have also recognised as Top Employer for the third year running! 11.30am – 11.00pm 7 days a week. Located on the newly developed Marine Parade, Subway is within easy reach of the local rail station. Whatever you’re in the mood for, Subway have a huge range of Subs, salads, treats and drinks to choose from. And here’s the best bit – every one of our Subs is made fresh in front of you, exactly the way you want it on the bread of your choice. You choose the salad and sauce you like too. Is anyone else’s stomach rumbling? Marino opened on 19th December 2012. The site sits opposite The Light Cinema with views overlooking Marine Lake, & beyond, to the rear. Its duel-aspect gives Marino a lovely light & airy feel although the moody red walls really cosy the space up. With 80 covers internally & 60 covers externally (front & back) she’ll be popular in the sunshine will this one. Adorning Marino’s main wall are two salvaged Mersey Docks & Harbour Board signs dating back to the late 1800’s. ‘The Lounges’ are informal, neighbourhood food led cafe/bars open all-day everyday where families, friends, and locals can come for a coffee, a drink, or something to eat in a relaxed comfortable environment. The Lounge menu is available all-day and offers a wide range of dishes including an extensive brunch menu, a selection of proper-job burgers, a great selection of tapas, & more restaurant-in-…style monthly specials. There is an extensive selection of coffee/tea, cakes and pastries, smoothies and fresh juice, and a small selection of wines, draught beers & cocktails. The interiors are comfortable, inviting, and a bit eccentric. The photos, a great majority of which feature Dave’s (co-founder) grandparents, are weird and slightly unnerving?! We’ve got a variety of board games available for either children or adults, daily newspapers to read, a kids menu (& highchairs), & a free neighbourhood book swap (bring an old book & swap it with a book in the bookcase). Think of us as your home-from-home. Expect more than coffee. We’re not just passionate purveyors of coffee, but everything else that goes with a full and rewarding coffeehouse experience. Family friendly, free WiFi and a genuine, inviting atmosphere. Exciting trial concept putting a Hungry Horse in a retail complex – part of the new £60m Marine Point complex in New Brighton, Wirral. With an outside ‘café’ style drinking terrace, situated next door to The Light Digital cinema. 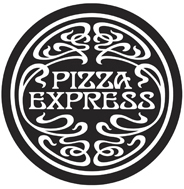 Located on the newly developed Marine Parade, Prezzo New Brighton is within easy reach of the local rail station. Large windows flood the restaurant with light and give a fantastic sea view. The open-plan dining room is bright and spacious with comfortable banquette seating ideal for a relaxing evening with friends. In fine weather guests can dine al fresco in the two outside dining areas. 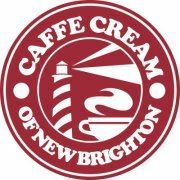 Situated on New Brighton’s brand new Marine Point development overlooking the marine lake, ‘Award Winning’ Caffe Cream of New Brighton is the perfect destination for breakfast, lunch or afternoon tea. Come and join us for a scoop on a hot summers day, visit us for panini and a slice of cake, or curl up with a delicious handcrafted coffee and watch the world sail by with our panoramic vistas. We make all our ice cream on the premises! 9am – 7pm 7 days a week.